If you miss one part of the puzzle that is being put together in these studies, you will never see and understand the whole picture. Click here to go to all lessons on the Bible doctrine on the relationship of Church and State. 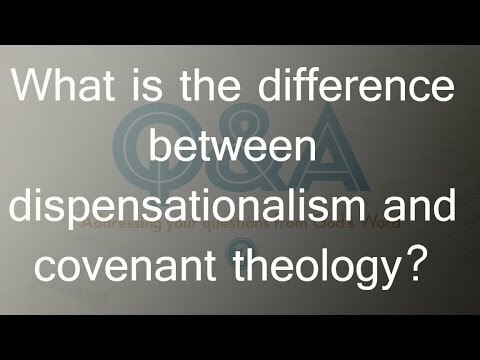 Click here to go to Dispensation Theology versus Covenant Theology and Their Importance to the Issue of Church and State Relationship in America. In order to understand religious liberty and the history of the First Amendment to the United States Constitution (freedom of speech, press, association, religion (or religious liberty); conscience; soul liberty; separation of church and state; and the right to petition the government for a redress of grievances), one must understand Dispensational Theology and Covenant Theology. This is because proponents of these two theologies fought a spiritual warfare in the colonies which led to the adoption of the First Amendment to the United States Constitution. The Puritans were Covenant Theologians. Historic Baptists were Dispensationalists in belief, although the term Dispensational Theology was not coined until sometime in the last few hundred years. These two theologies clashed in the English colonies of America, the Baptist view prevailing at the federal level with the adoption of the First Amendment. See Isaac Backus Quoted in God Betrayed to get a little understanding of the importance of his efforts and writings in the colonies for the cause of separation of church and state and religious liberty. 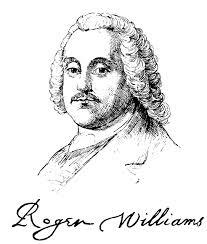 The first major threat to the colonial establishments was instituted by Roger Williams in New England. His activities and writings forcefully revealed fallacies of certain Puritan (Calvinist) theology and Puritan persecution of “heretics” and led the founding of the first civil government in history with any lasing influence with religious liberty. See Roger Williams: Quotes and Other Information from God Betrayed. Baptists in the colonies fought the Puritan and Anglican establishments. 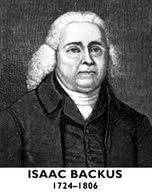 Isaac Backus came out of the Congregational (Puritan) Church, became a Baptist, and fought against establishment of churches, infant baptism, etc. He obviously disregarded the Calvinist allegorized interpretations of Scripture. He still called himself a Calvinist, but rejected much of classic Calvinism. Through his extensive writing and activities, he fought for separation of church and state, baptismal regeneration, and other issues in the colonies. These studies, especially the advanced studies, extensively quote Isaac Backus, and others such as Roger Williams—another hero of the faith who arrived in Massachusetts from England in the 1630s. It is obvious from their writings that these men took a literal view of Scripture and rejected the allegorized interpretation of Catholicism and Protestantism. Their writings totally dismantled the teachings of Puritans such as John Cotton. At the same time, Cotton and other Puritans, true to form and according to their theology, lied and misrepresented truth as always. They justify lying based upon false interpretations of Scriptures such as those dealing with Rahab the harlot and the midwives in Egypt. The warfare between various biblical theologies continues and will continue until the kingdom of heaven is established by our Lord. Most “Baptists,” not to mention members of denominations and religions, have unknowingly succumbed to false religious beliefs and philosophies as end-time prophesy unfolds as foretold in Scripture. This and the next few teachings will, in a nutshell, explain Dispensational Theology and Covenant Theology, distinguish them, and will be invaluable in one’s quest for understanding of the biblical principle of separation of church and state and the American application thereof. To fully understand these matters will not be the goal; only the most important matters will be covered, and those in summary form. see the citations and references for more in depth analysis and study. Covenant theology allegorizes and spiritualizes Scripture and teaches union of church and state. Covenant theology applies selected principles regarding the theocracy of Israel to Gentile civil government and the church. Dispensational theology is based upon a literal belief in Scripture which accordingly teaches separation of church and state. Although many biblical principles run from Genesis to Revelation, the rules for church and state and for the Jewish religion-state are not the same. Under Judaism (the Jewish religion as ordained by God), religion and state operated hand-in-hand under God; that is, the religion and state were unified by God, both religion and state instructed by God to work together directly under God for the same goals. Keep in mind that there are many variations of Covenant Theology. Likewise, Dispensationalist systems of theology deviate, some alarmingly, from accurate and literal understanding and teaching on Scripture. God will not call every believer to totally understand these systems. The best thing a believer can do with God’s Word is to study it, believing what it says. When one does that, he will by definition be a dispensationalist. The important thing is that the believer read his own Bible and verify any Bible teaching. It is a serious mistake to blindly follow anyone, especially traditional Calvinist, Reformed, Catholic, Charismatic, JW, Mormon, or similar cultic teachings and teachers. [i] See the History of the First Amendment or The Trail of Blood of the Martyrs of Jesus which also explains why those revisionists lie about history and seek to intentionally deceive Christians. [iii] Backus, A History of New England…, Volume 1, p. 150. This comment followed and preceded illustrations of how those in favor of church/state marriage, infant baptism, etc. advance their cause. On pp. 151-152, Mr. Backus illustrated how those in favor of infant baptism argued their position, pointing out the fallacies of their arguments. Their tactics have not changed, although in America, due to the First Amendment to the United States Constitution, they no longer can call upon civil government to enforce their beliefs. Click here for Quotes of Isaac Backus in God Betrayed. Click here or the image at right to go to Roger Williams: Quotes and Other Information from God Betrayed. Click here or the picture at right to go to PDF of quotes of Isaac Backus in God Betrayed. Click here to go to “Bible Studies on the Doctrine of the Church” from other books of the Bible. NOTE. For more details see, McGee, Colossians. This study is taken from that book with some modifications. The study is also available online in audio at: Colossians. DATE A.D. 62. Four men left Rome in A.D. 62 bound for Turkey. These men had four of the most sublime compositions of the Christian faith. When these men bade farewell to the Apostle Paul, each was given an epistle to bear to his particular constituency. These four letters are in the Word of God, and they are designated the “Prison Epistles of Paul,” since he wrote them while he was imprisoned in Rome. He was awaiting a hearing before Caesar Nero. The four men and their respective places of abode were: (1) Epaphroditus from Philippi who had the Epistle to the Philippinans (Philippians 4.18). (2) Tychicus from Ephesus who had the Epistle to the Ephesians (Ephesians 6.21). (3) Epaphras from Colosse who had the Epistile to the Colossians (Colossians 4.12). (4) Onesimus, a runaway slave from Colosse, who had the Epistle to Philemon, his master (Philemon 10). These epistles present a composite picture of Christ, the church, the Christian life, and the interrelationship and functioning of all. These different facets present the Chritian life on the highest plane. Colossians directs our attention ot the head of the body who is Christ. The body itself is secondary. Christ is the Theme. He is the center of the circle around which all Christian living revolves. Colossians emphasizes that Christ is the fullness of God. Ephesians, Philippians, Colossians, and Philemon have been called the anatomy of the church. They belong together to make a whole. The church at Colosse met in the home of Philemon. A great civilization and a great population were in that area. East and West meet there. Colosse was more a less a door to the Orient, to the East. Colosse, Laodicea, Philadelphia, Sardis, Thyatira, and Pergamum were fortress cities. They had all been great cities of defense against invasion from the East. By the time of Paul, the danger had been relieved because the Roman Empire was pretty much in charge of the world by then. Pelple had lapsed into paganism and gross immorality at the time of Paul. Colosse was typical. Paul never visited Colosse. Nonetheless, he founded the church there. Converts from Paul’s ministry at Ephesus very definitely could have come to Colosse to form the nucleus of that church. Colosse is just 75 to 100 miles east of Ephesus. They had an exclusive spirit. They were the aristocrats in wisdom. They felt that they were the They felt they had a monopoly on knowledge. They thought that they knew more than the apostles. Paul will issue them a warning in the first chapter: Colossians 1:28: “Whom we preach, warning every man, and teaching every man in all wisdom; that we may present every man perfect in Christ Jesus:” Perfection is not found in any cult or any heresy, but in Christ Jesus. All wisdom is found in Him. They held speculative tenets on creation. They taught that God did not create the universe directly, but created a creature who in turn created another creature, until one finally created the physical universe. Christ was considered a creature in this long series of creations. This was known in pantheistic Greek philosophy as the demiurge. Paul refutes this in Colossians 1.15-19 and 2.18. Ethically, the practiced asceticism and unrestrained licentiousness. They got the asceticism from the influence of Greek Stoicism and the unrestrained licentiousness from the influence of Greek Epicureanism. Paul refutes this in Colossians 2.16, 23 and 3.5-9. Colossains is the chart and compass which enables the believer to sail between the ever present Scylla and Charybdis. On the one hand there is always the danger of Christianity freezing into a form, into a ritual. It has done that in many areas and in many churches so that Christianity involves nothing more than going through a routine. On the other hand is the danger that Christianity will evaporate into a philosophy. The Word of God is the revelation of God as it says it is. That is not a “theory.” We find people talking about theories of inspiration and theories of atonement—that is the evaporation of Christianity into a philosophy. So there are two dangers. One is to freeze into form and become nothing but a ritualistic church; the other is to evaporate into steam and be lost in liberalism and false philosophy. The Lord Jesus said that He was the water of life, not the ice of life or the steam of life. The Water of Life is “Christ in you, the hope of glory” (Co. 1.27). Christianity is Christ down where we live, Christ in the nitty-gritty of life, down where the rubber meets the road. There has always been the danger of adding something to or subtracting something from Christ—the oldest heresy is the newest heresy. Christianity is not a mathematical problem of adding or subtracting. Christianity is Christ. This is what Paul teaches in this epistle: Colossians 2:9 “For in him dwelleth all the fulness of the Godhead bodily.” All you need is to be found in Christ. Charles Spurgeon said, “Look on thine own nothingness; be humble, but look at Jesus, thy great representative, and be glad. It will save thee many pangs if thou will learn to think of thyself as being in him”—accepted in the Beloved, finding Him our all in all. If you are resting in Him, you will find that you don’t need to go through a ritual. You won’t need to do a lot of gyrations and genuflections. You won’t be discussing the theories of inspiration. You either believe the Bible is the Word of God, or you don’t believe the Bible is the Word of God. The so-called intellectual approach we find in our churches today is no good. Be a genuine you and not an imitation of someone else. Don’t try to imitate intellectual men you admire. We need to get down off our high horses. The Lord Jesus is feeding sheep, not giraffes. The practical section of Colossians shows us Christ, the fullness of God, poured out in the life of believers. The alabaster box of ointment needs to be broken today. The world not only needs to see something, it needs to smell something. The pollution of this world is giving a very bad odor in these days. We need something of the fragrance and loveliness of Jesus Christ, and only the church is permitted to break that alabaster box of ointment and let out the fragrance. PRACTICAL: Christ, the fullness of God, poured out in the life through believers, Chapters 3, 4.
vs1-2 “An apostle of Jesus Christ,” “by the will of God.” Every church member should be functioning, doing what God has called him to do. Our gifts are different and we are each going to function a little differently. “To the saints and faithful brethren of Christ which are at Colosse.” This saints and faithful brethren are the same. We are not saints because of what we do. We are saints because of our position. The word means to be set apart for God. Notice that they are “in Christ,” but they are at “Colosse.” We should have an address down here, but also an address up yonder also: in Christ. “Grace be unto you, and peace, from God our Father and the Lord Jesus Christ.” The gnostics relegated God to a place far removed from man and taught that one had to go through emanations to get to God. Paul says here that grace and peace come directly “from God our Father.” We can come directly to Him through Christ. It is nonsense to boast of our fundamentalism and then to spend our time crucifying our brethren and attempting to find fault with them. There are too many “wonderful saints” looking down on their fellow believers who have not measured up to their high standard and are not separated like they are separated. The world is looking to see whether Christians love each other or not. In 1 Co. 13.13, Paul lists these 3 graces, but lists them differently. He puts hope in the 2nd position and love is listed last. Why? Because love is the only thing that is going to abide. Love is for present, but it will make it to eternity. The “hope which is laid up for you in heaven” is the blessed hope. We are to love Christ’s appearing. The gospel is a simple message which God simply asks you to believe. v6 Paul says the gospel has come to the Colossians as it has come to “all the world.” The gospel had penetrated into the farthest reaches of the Roman Empire of that day. “And bringeth forth fruit.” Whereever the gospel is preached, it will bring forth fruit. v7 Apparently, Epaphras “our dear fellowservant” is the pastor of the church at Colossee. v8 Paul makes it clear to these Colossian believers that they would not have been able to exhibit this love unless it were by the Holy Spirit. It was to the Galatians that Paul wrote that the fruit of the Spirit is love. In this epistle, Paul dwells on the person of Christ. As he does that, the Spirit of God will take the things of Christ and will show them unto us. This is one of the most wonderful prayers in Scripture. He will make seven petitions, and then he will thank the Lord for the things He has already done for us. v9 First, Paul prayed that they might be filled with knowledge “of his will in all wisdom and spiritual understanding.” Wisdom occurs forty times in this epistle. v10 He prays that they might be pleasing to God. Third, he prays that they might be “fruitful in every good work.” The Christian is a fruit bearing branch. Christ is the vine, and we should bring froth fruit. “Increasing in the knowledge of God.” (4th request) A Christian should not be static, but growing in the word of God. v12-14 Here is the list of things for which Paul is thankful. In Colossians, we come in close on the person of Christ and learn the theology of it. This is a very lofty, very exalted, and very grand section of this epistle. This provides an answer to those who would deny the deity of Jesus Christ. Paul is answering one of the oldest heresies in the church—Gnosticism. Paul gives here 9 marks of identification of Christ which make Him different from and superior to any other person who has ever lived. The “image of the invisible God.” See John 1.1, 14. Christ was born flesh. That is the way that He became the image of the invisible God. How could that be? Because He is God. If He were not God, He could not have been the image of the invisible God. He is “the firstborn of every creature.” This reveals His relationship to the Father and His position in the Trinity. God is the everlasting Father. Christ is the everlasting Son. “Firstborn” indicates His priority before all creation. Nowhere does Scripture teach that Jesus Christ had his beginning at Bethlehem. In Micah 5.2 we are told that He would be born in Bethlehem, but that he came forth from everlasting. Is. 9.6 tells us that “the child is born” but the “son is given.” He came out of eternity and took on Himself our humanity. Gnosticism taught that Jesus was a creature who came out of a line of created creatures, emanations from God. Paul says Jesus Christ was the firstborn of all creation, that He is back of all creation. There are several places in Scripture where Christ is called the firstborn. He is called the firstborn of all creation; the firstborn from the dead; and the only begotten. See Co. 1.18, Ps. 2.7; Ac. 13.32, 33. When Christ is called the firstborn of all creation, it is not referring to His birth at Bethlehem. It means it has top priority of position. See Ps. 89.27. Some other verses that speak of the person of Christ. He. 1.3; 1.7, 8. This says Jesus Christ was God. See Lk. 1.35; Mt. 16.16. “By hi were all things created.” He was the creator. There are two types of creation, visible and invisible. He mentions different gradations of rank in spiritual intelligences: thrones, dominions, principalities, powers. There are gradations in angelic hosts. Other verses te us that there are seraphim and cherubim, and also the archangels. Then there are just the common, everyday, vegetable variety of angels. In Ephesians, we see that our enemy is a spiritual enemy. Satan has a spiritual host that rebelled with him. There are different gradations and ranks of our spiritual enemies too. All things were created “for him.” We are joint heirs of God and joint heirs with the Lord Jesus Christ. We will have a new body free from gravity. We will be able to travel throughout God’s universe. We live in tabernacles, tents. 2 Co. 5.1. 2 Co. 5.8: “willing rather to be absent from the body, and to be present with the Lord.” Eternity is the prospect ahead for us. “He is before all things” (v17). “By him all things consist” (v17). He holds everything together. See also He. 1.3. “He is the head of the body, the church” (v18). In Ephesians, the emphasis was on the church as the body of Christ in this world. 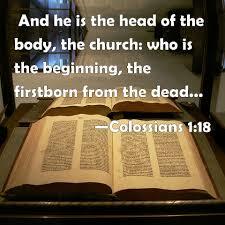 In Colossians, the emphasis is on Christ, the Head of the body. Ephesians 1:22: “And hath put all things under his feet, and gave him to be the head over all things to the church.” Finally, in Philippians we see the church with feet walking through the world—we see the experience of the church, the experience of the believer. “The firstborn from the dead.” There is only one man who has a glorified body today. He is the firstfruits of them that sleep. When a believer dies, the body is put to sleep, but the individual has gone to be with the Lord. When Christ comes to take His church out of the world, then that body is going to be raised on the basis of His resurrection. It is sown in corruption, but it will be raised in incorruption (1 Co. 15.42). We shall be just as He is (1 Jn. 3.2). “That in all things he might have the preminence” (v18). God’s intention is that the will of Christ must prevail throughout all of God’s creation. Ps. 2.6. God is moving forward today undeviatingly, unhesitatingly, uncompromisingly toward one goal—to put Jesus Christ on the throne of this world which today is in rebellion against God. That is the objective of God. “It pleased the Father that in him should all fullness dwell” (v19). In Philippians, Christ emptied Himself and became a servant; He emptied Himself of the glory that He had with the Father. He did not empty Himself of His deity—He was God when He came to this earth. Here we see that the fullness of God dwells in Him. When He was on the earth, He was 100% God. Christ’s relationship to the Father—v 15. Christ’s relationship to the creation—vs 16, 17. Christ’s relationship to the church—vs. 18, 19. Christ’s relationship to the cross—v. 10. We see here the things Christ has done for us. “By him to reconcile all things unto himself.” Reconciliation is toward man; redemption is toward God. Man must make a decision to be reconciled to God. Paul explains this very clearly in 2 Co. 5.18-20. God is asking man to be reconciled to Him. “Reconcile all things.” “All things” are those which are appointed to reconciliation. Philippians 3:8 “Yea doubtless, and I count all things but loss for the excellency of the knowledge of Christ Jesus my Lord: for whom I have suffered the loss of all things, and do count them but dung, that I may win Christ.” This refers to all things Paul had to lose. Things in heaven and earth are reconciled to God, but not things under the earth. One needs to be reconciled to him in this place and in this life. “Things in heaven.” Heaven is being made ready to receive us. John 14:2 “…I go to prepare a place for you.” By the blood of Jesus, man is brought to God. This blood also purifies things in heaven according to He. 9.23-24.
v21 A man is lost because he wants to be lost, because he is in rebellion against God. The reason people are lost is because their minds are alienated from God. There is an open hatred and hostility toward God. v22 Here is an explicit declaration that Christ suffered in a real body. This directly countered one of the heresies of Gnosticism. Unblamable means without blemish. “Unreproveable” means unaccusable or unchargeable. God justifies the believer. He is the One who has cleared us of all guilt. v23 The if Paul uses here is the if or argument. It means that something was if something else is true. Paul’s point is that we have been reconciled—it is an accomplished fact. If you are a child of God, you will continue in the faith grounded and settled. The sufferings of Paul were not redemptive. There are two kinds of suffering: ministerial and mediatorial. Christ’s sufferings for us was mediatorial. There are two sufferings of Christ which He endured and in which we cannot share. He suffered as a man. He endured human suffering. As when He was born, He cried like other babies He was clad in the frail flesh and garment we as humans have. He could get hungry and thirst. He experienced loneliness. He suffered anguish and pain and sorrow. He could go to sleep in the boat because He was weary and tired. Galatians 6:5 “For every man shall bear his own burden.” We are born alone. We feel pain alone. We each must face certain problems in life, and we face them alone. There is a sorrow that comes that no one can share with us. We become sick, and no one can take our place. Humanly speaking, we will die alone. The second suffering He could not share was His suffering as the son of God. No mortal has ever had to endure what He went through. We see this suffering in Ps. 69. And then He suffered as the sacrifice for the sin of the world. None of us can do that. He is the Lamb of God that takes away the sin of the world, and none of us can enter into that suffering at all. He alone went to the cross. He was forsaken by God and forsaken by man. His blood was not the blood of martyrdom; His was the blood of sacrifice. That is a suffering man cannot bear; He could not share that with anyone else. On the other hand, there are the sufferings Christ endured which we can share. These are the sufferings Paul refers to in v24. See 1 Pe. 4.12-13. One thing is certain: If the gospel is to go forward today, someone must suffer. Suffering is not popular. v25 “Dispensation” means economy. It is a stewardship. God deals with the world on the basis of different economies or stewardships. but they have always been based on the redemption which is in Christ Jesus. Paul writes to the Gentile people in Colosse. They are a part of this new dispensation. The Gentiles are to be included in the church. “To fulfil the word of God.” This is something that had been hidden in the Old Testament. Now God has declared that the gospel must go to the Gentiles. v26 A “mystery” is something that had not been revealed in the OT, but is now revealed. It was known in the OT that the Gentiles would be saved. The mystery, the new thing, was that God would now put Israel on the same basis as the Gentiles. God is taking both Jews and Gentiles and putting them into a new body which is the church. v27 “Christ in you, the hope of glory”—we are in Christ. v28 The gospel is not what we preach, but who we preach. Jesus Christ is the gospel. He is eternal life. John wrote that he was going to show us eternal life, that he had seen eternal life (see 1 J. 1.1, 2). He had seen Christ. “Warning every man, and teaching every man in all wisdom.” “That we may present every man perfect in Christ Jesus.” Perfect means complete or mature. v29 “Striving” means to agonize. Paul is strving to do this. “According to his working, which worketh in me mightily.” This should be the desire of everyone who is working for Christ—that He would work in us mightily to do two things: to get out the gospel that men might be saved and then to build them up in the faith. That is the two things the church should be doing today. In vs1-15 we will see that Christ is the answer to philosophy. The remainder of the chapter will show that Christ is the answer to ritual. The answer to philosophy is for the head; the answer to ritual is for the heart. Christianity has always been in danger of evaporating into philosophy—it becomes nothing but steam; or that it will freeze into a form and become nothing more than a ritual. But Jesus Christ is the water of life. He is neither steam nor ice; neither can sustain life. Christianity is Christ! v1 Laodicea was near Colosse. In Re. Laodicea is described as “luke warm.” “Conflict” is agony. MacPhail calls this a prayer of agony. Paul knew there was a grave danger in Colosse and Laodicea. They were in danger of going off in one of two directions. In Re., the Laodiceans were described as lukewarm. They had lost sight of the person of Christ who is the answer to both man’s head and man’s heart. Dr. McGee believes Paul meant by “For as many as have not seen my face in the flesh” means he had never been there. v2 “Heart” indicates the entire inner man, the whole propulsive nature of man. He is praying that their hearts, their humanity, their whole persons might be comforted. “Being knit together in love” means compacted in love. Love will draw them together. The bond that unites believers is love. “Full assurance of understanding means that believers should be moving along spiritually—they should be moving along for God. The “mystery of of God, even Christ” is the church. On the Day of Pentecost God started a new thing. He began to call out a group of people int0 the body of believers, baptized into this body. Christ has a physical body while he was on earth and he has a spiritual body here today, the church, which is made of local autonomous assemblies made up of believers. v3 All that we need is Christ. He is the reservoir of all knowledge. Now Paul will discuss the error of enticing words. v4 Philosophy and psychology have been substituted for the Bible and this is the thing that is enticing to so many young preachers in our seminaries today. Many know all about Bultmann and Kant and Plato, but not much about the Word of God. There was that same danger in Colosse and Laodicea. Paul says, “Don’t let anyone beguile (victimize) you by enticing words (oratory or sweet talk).” These words cause many people to follow a certain individual instead of the Word of God. Like the Pied Piper of Hamin, he starts playing, and they start following. v5 Paul knew that this church was standing. “Beholding your order.” Order is a military term. Believers should be standing shoulder to shoulder. Instead, many are trying to undermine or take advantage of another believer. v6 Salvation is a person, the Lord Jesus Christ. We are to walk in Him, to walk in the Spirit. The Christian life is in the home, the office, the schoolroom, on the street. The way you get around in this life is to walk. You are to walk in Christ. v7 “Rooted” means rooted like a tree, and a tree is a living thing. And we are to be “built up” as a house. “And stablished in the faith.” Faith is the way you and I lay hold on Christ. Paul now moves on to discuss the danger of philosophy. “Beware”—Look out! Stop, look, and listen! If you were to follow the history of philosophy beginning with Plato, including many of the church fathers, and coming down to more recent times (Kant, Locke, and Bultmann etc. who seems to be more crazy that some theologians right now), you would find that none of them have a high view of the inspiration of the Word of God. They are looking for answers to the problems of life, but they will not be found in philosophy. A true philosopher is a seeker of truth, but truth is not found in human wisdom. Christ is the answer, the answer to philosophy (1 Co. 1.30). But false philosophy is like a blind man looking in a dark room for a black cat that isn’t there—there is no hope for its search for truth. Paul warns the Colossians to beware of this. “After the tradition of men.” The Lord Jesus condemned the religious rulers in His day because they taught the tradition of men rather than the Word of God. “After the rudiments of the world and not after Christ.” “Rudiments” means that which is basic, the A B C’s. Some try to build their Christian living on a simple worldly system. Now Paul will speak of Christ. v9 A clear cut statement of the deity of Christ. v10 Ye “are complete in him.” You are ready for the voyage of life in Christ, and whatever you need for the voyage of life you will find in Him. v11 Paul is telling to get rid of that which is outward. the real circumcision is the new birth. See Ga. 6.15). We become a new creature when we come to Christ and trust Him as Savior. We rest in Him; we are identified with Him. v12 The death and resurrection of Christ is an historical fact. When Christ died, you and I died with Him; He took our place. And when He was raised, we were raised with Him, and we are now joined to a living Christ. No outward ceremony can bring us to Christ. Salvation is accomplished by the resurrection power of God. It is not some philosophy; it’s not some gimmick; it’s not some little system; it is not the taking of some course that will enable you to live for God. v13 Salvation is not the improvement of the old nature; it is the impartation of a new nature. Paul had to deal with two Greek philosophies—Stoicism, and Epicureanism. The Stoic taught that man was to live nobly and that death cannot matter. Hold the appetites in check and become indifferent to changing conditions. They believed that man is more than circumstances and that the soul is greater than the universe. It was a brave philosophy. The problem was how to live it. The Epicurean taught that all is uncertain. We know not whence we came; we know not whither we go. We only know that after a brief life we disappear from this scene, and it is vain to deny ourselves any present joy in view of the possible future ill. Let us eat and drink for tomorrow we die. Both these systems attempted to deal with the flesh.—the old nature we all have, not the meat on our bones. If you are joined to Christ, you are going to live as if you are. How close are you to Him? Do you walk with Him? Do you turn to Him in all the emergencies of this life? Is He the center of your life? The warning against legality (vs14-17). v14 When Christ died on the Cross, he did not die because He had broken the Ten Commandments. It was because you and I broke them, because everyone is a sinner. If Christ has saved you, you should not go back to a law you could not keep. The law was given to discipline the old nature. The believer has been given a new nature, and the law has been removed as a way of life. v15 The spiritual victory that Christ won for the believer is of inestimable value. vs16-17 A believer is not to observe ordinances that are only ritual and liturgical; they have no present value. God did give certain rituals in the OT. But Paul explains they were merely a “shadow of things to come.” The OT rituals were just pictures of Christ. We come not to the warning against mysticism. vs18-19 Paul is here condemning the Gnostics who made a pretense of wisdom. The final warning is against asceticism. vs 20-21 Since you have died with Christ, do not return to pre-cross living. Paul is talking about the pride that says, “I deny myself, and I don’t do these things. Just look at me. I’m really sprouting wings, and I shine my halo every morning.” “Not in any houour” means it is not of any value. If you are going to walk with Christ, you are going to have a good time. Now we come to the practical section, chapters 3 and 4. We have seen the preeminence of Christ in chapters 1 and 2. Now we come to the place where Paul will insist that He must be made preeminent in our lives. Dedication is Christ preeminent in our lives. If Christ is preeminent in your life, then you are going to live out His life down here on earth. Paul made this clear in Co. 2.9, 10. Christ is the solution to all the problems in life. Paul has discussed the different things that lead people away from the person of Christ—enticing words, philosophy, legality, mysticism, and asceticism. The Christian life is to live out the life of Christ. v1 This is the if of argument, not the if of condition. The lives of these Colossian Christians evidenced their salvation. The evidence was faith, hope, and love—the fruit of the Spirit was in their lives. They loved the believers (Co. 1.4). Love among the believers was so important. They also had hope (Co. 1.5) which is the coming of the Lord Jesus for His children. “Seek those things which are above, where Christ sitteth on the right hand of God.” “Seek” means an urgency, desire, and ambition. The “things which are above” are the things of Christ. Paul doesn’t say here to seek out and listen to any preacher or teacher. Don’t make Dr. McGee or any man your idol. Look for a man who is just like you are. The pastor is to preach the Word of God. Every pastor has fallen flat on his face. The Bible is the one Book which reveals the living Christ, and that should be a pastor’s purpose in teaching it. When you read the Bible, you are looking at the real, living Christ. We are to seek Him. Real study of the Word of God will get you through to the living Christ. v3 “For ye are dead, and your life is hid with Christ in God.” You died more than 1900 years ago when Christ died. I have been taken out of the old Adam by baptism (of the Holy Spirit). v4 If you have any life it is Christ’s life. Christ is eternal life. If we are truly risen with Christ this will be evident in two areas of our lives: (1) our personal holiness, and (2) our fellowship with others who are about us. “If ‘Christians’ were as afraid of sin and they are of holiness, it would be a wonderful thing.” If you have accepted Christ as your Savoiur, that is going to show in your life down here. v5 “Mortify” means to put to death, or put in the place of death. Colossians 3:5 “Mortify therefore your members which are upon the earth; fornication, uncleanness, inordinate affection, evil concupiscence, and covetousness, which is idolatry.” “Fornication” means sexual immorality. “Uncleanness” includes thoughts, words, looks, gestures and the jokes we tell. “Inordinate affection” means uncontrolled passion or lust. “Evil concupiscence” means evil desires. “Covetousness, which is idolatry” means when we always must have more. v8 Believers put off all these things “anger, wrath, malice, blasphemy, filthy communication out of your mouth.” Anger becomes wrath when we develop an unforgiving spirit. Malice is an anger that has been nursed along, and anger that tries to take revenge and get even. There is blasphemy against God (defaming the name of God, misrepresenting Him, hating Him) and blasphemy against man (for example, saying something about another Christian that is not true). “Filthy communication out of your mouth” means foul communication and includes both that which is abusive and that which is filthy. v9 Christians are not to lie. We are in the practical section of Colossians. “Bowels of mercies” means heart of compassion. “Kindness” means to be helpful to others. “Humbleness” is meekness. “Meekness:” the emphasis here is meekness of spirit. “Longsuffering” means it burns a long time. We should not have a short fuse. We should not make snap judgments. v13 Quarrel” means complaint. Paul is including situations where there is blame involved and the complaint is justified. What are we to do in such situations? “Even as Christ forgave you, so also do ye.” We are to go to the one we have a complaint against and try to work it out. But there are some with whom y0ou cannot work out things. When our Lord denounced the Pharisees, there is no mention of forgiveness—He just denounced them. They did not seek His forgiveness, of course. Paul’s thought here is that Christ has forgiven us so much that it won’t hurt us to forgive somebody who has stepped on our toes. We are to forgive others the same way that Christ has forgiven us. vs14-15 “Charity” is love. We have in these 2 verses two fruits of the Spirit: love and peace. The peace of God should “rule,” govern, our hearts. v16 “The word of Christ.” John 15:3 “Now ye are clean through the word which I have spoken unto you.” “Dwell” means to be at home, to be given the run of the house. “Let the peace of God rule your hearts”—let it be an umpire. Then “let the word of Christ dwell in you richly in all wisdom”—let it be at home. Know Him. Be familiar with the Word of Christ; study it and know what He is saying to you. He speaks to you in His Word. v17 Paul here does not say what we should or should not do. He simply says, “Do all in the name of the Lord Jesus, giving thanks to God and the Father by him.” All you do at home, in the workplace, in relationships with others, can you say, “I am doing this in the name of the Lord Jesus.” If so, go ahead and do it. Now Paul comes to the subject of holiness in the home. Notice he is dealing with the same things he dealt with in Ephesians. Now, he gives instructions for living. The Word of God is inspired by the Holy Spirit. If the Word of God dwells in you richly, then you are filled with the Spirit of God. You cannot be filled with the Holy Spirit or serve Christ until you are filled with the knowledge of His Word. If God’s Word dwells in you richly, it will work itself out in your life, and it will have an effect on your home. v19 The husband who loves his wife is the one to whom the wife is to submit. v20 Children are to obey their parents, to honor their parents all their lives. However, the child needs to grow up. This verse is for children, for minor. Now Paul moves to the subject of holiness on the job at the place of employment. v22 “Don’t keep your eye on the clock. Keep your eye on Christ. He is the one you are serving.” If you are lazy, you are not dedicated to Christ. Paul had one goal: Philippians 3:13-14: “Brethren, I count not myself to have apprehended: but this one thing I do, forgetting those things which are behind, and reaching forth unto those things which are before, I press toward the mark for the prize of the high calling of God in Christ Jesus.” He had his eye, his mind, his heart, and his total affections fixed upon Jesus Christ. v23 Work from your soul, with enthusiasm unto the Lord. This applies to everything you do. Even if you cannot go to church with enthusiasm, Dr. McGee recommends that you quit going to that church. Do everything “as to the Lord,” not to men. We are not to be menpleasers. v25 He is going to straighten out everything in your life and in my life that we don’t straighten out down here. It is a privilege to be in God’s service. But don’t ever think that makes you something special. When the Lord judges you, He will judge you on faithfulness. Only the Holy Spirit working in me can attain this high and holy calling. He wants me to mirror Him in every relationship I have down here. Chapter 3 concluded with exhortations to servants or to employees. Chapter 4 will continue with exhortations to masters or to employers. v1 The master is to do right by the servant. “Knowing that ye also have a Master in heaven.” The master will stand with Christ someday. Every Christian employer, as well as employee, will stand before God some day. This gets down to where the rubber meets the road. The next few verses present 3 more areas of Christian conduct which are important: prayer, our public walk, and speech. v2 Pray and watch. Reminds us of Nehemiah. He prayed, worked and watched. He said, “Nevertheless we made our prayer unto our God, and set a watch against them day and night, because of them” (Ne. 4.9). “With thanksgiving.” Always thank God because He is always going to answer your prayer. Maybe it won’t be the answer you wanted, but He will answer. We come to a remarkable list of names of people Paul knew. This reveals that Paul had led many people to Christ who returned home to cites he was never able to reach directly or personally. vs7-8 Tychicus was the pastor of the church in Ephesus. He is mentioned in Ep. 6.21, Ac. 20.4, and 2 Ti. 4.12.
v9 Onesimus was a slave of Philemon in Colosse. v10 Aristarchus was a fellow prisoner with Paul. Marcus is John Mark, the nephew of Barnabas. He is the writer of the gospel of Mark. v11 “Jesus which is called Justus” is “of the circumcision.” He is one of the few Israelites in the church in Colosse, which was mostly Gentile. v12 Epaphras was the pastor in Colosse. Now he is in prison. v13 v14 “Luke, the beloved physician.” Paul called Demas a fellow workker when he first mentioned him. Here he simply says, “… and Demas.” This may indicate Paul isn’t sure about him. Later, Demas forsakes Paul. v15 Christians met in homes. v16 This epistle is to be read also in the church of Laodicea, as the letter to Laodicea is to be read in the church at Colosse. v17 Archippus. Paul is telling him to use his gift. Separation of church and state,” “established church” and “religious freedom or soul liberty,” are inherent in the establishment clause of the First Amendment to the United States Constitution. This lesson will define those phrases. The remaining studies and cited authorities, especially the studies on the history of the First Amendment will make perfectly clear that the definitions given here are accurate. Click the above to go to the article, “Is Separation of Church and State Found in the Constitution? The biblical principle of “separation of church and state” is that God desires both a church and the state to choose to be under God, but desires neither to be over or to work hand in hand with the other. A church has spiritual responsibilities. The state has earthly responsibilities. The Bible contains different principles for a church and the state. God desires the two to be totally separate entities, both ordained by God who desires both to submit to Him in love and to be guided by His principles as stated in His Word. A church under God remains an eternal spiritual entity only so long as she does not inadvertently or intentionally change her status to an earthly temporal entity by placing herself under the law of man, under civil government. By placing herself under the law of man, she combines church and state and makes herself, at least partially but perhaps wholly, a temporal, legal, earthly entity. The main example in America is the incorporated 501(c)(3) church. The rules of civil government for the corporate 501(c)(3) church are secular and such a church agrees, when she applies for and executes the status, to the rules which come with state non-profit corporation law and the rules that come with 501(c)(3). She also agrees that any disputes over violation of the rules will be decided by the authority—the state of incorporation or, for 501(c)(3) purposes, the federal government. God and the Bible will have no part of disputes as to many matters. The authority is civil government. In other words, the corporate 501(c)(3) church has not only put herself under man’s law, not God’s law, for many matters; she has also taken herself from under the First Amendment—a statement of the Bible principle of separation of church and state (not separation of God and State—and placed herself under the Fourteenth Amendment for many purposes. An established church is a church who is an integral part of the state and receives state support. She does this trough becoming a legal entity. The established church and state reach an agreement or enter into a contract whereby either the state aids the church in attaining earthly and/or spiritual goals or vice-versa and, to one degree or another, the state runs the church or the established church runs the state. The church and state work hand in hand to enforce earthly and spiritual laws and principles. In modern America state-churches are influenced, perverted, and/or perhaps dominated by state enforced satanic principles. For more on this, see What is an established church? Historically, the established church has either been over the state, or the state has been over the established church. When the state has been over the church, the state directs the affairs of the church to a greater or lesser degree and vice-versa. In either case, the spiritual affairs of the church are mixed with the earthly responsibilities of the state. In the past, in either a church-state or state-church, leaders of both church and state operated under a false theology based upon false biblical principles. The results were (1) corruption of the church, corruption of the state, corruption of the clergy and political leaders and the members of society and the church, and (2) torture, imprisonment, and/or the killing of those who refused to bow down to the theology of the church-state or state-church. We see the former results in the church-state activities in America today. The latter results are coming. “By religious freedom, or soul liberty, is meant the natural and inalienable right of every soul to worship God according to the dictates of his own conscience, and to be unmolested in the exercise of that right, so long, at least, as he does not infringe upon the rights of others; that religion is, and must be a voluntary service; that only such service is acceptable to God; and, hence that no earthly power, whether civil or ecclesiastical, has any right to compel conformity to any creed or to any species of worship, or to tax a man for its support. Religious freedom exists when every citizen has, by law, the choice, without persecution, of choosing God, false gods or a false god, or no god at all. Religious freedom, as shown in God’s Word, is what He desires in a Gentile nation. Even though He desires Gentile nations to provide for religious liberty, He also wants them to submit themselves to Him and His principles, and recognize that Jesus Christ is the Supreme Sovereign. Thus a nation modeled after biblical principles will provide for religious liberty while also operating under God and His principles. “This principle gives to ‘Caesar’ ‘the things that are Caesar’s,’ but it denies to Caesar ‘the things that are God’s.’ It does not make it a matter of indifference what a man believes or how he acts, but it places all on the same footing before God, the only lord of the conscience, and makes us responsible to him alone for our faith and practice. [By 1900 this doctrine was] very generally accepted, not only in Virginia, but also throughout the United States. It [had] been incorporated into our National and State Constitutions, and it [was ] the basis for our civil liberties” (Charles F. James, Documentary History of the Struggle for Religious Liberty in Virginia (Harrisonburg, VA.: Sprinkle Publications, 2007; First Published Lynchburg, VA.: J. P. Bell Company, 1900), p. 9.). As these studies have already shown, God, the Supreme Ruler, ordained civil government and the church at different times, for different purposes, and for peoples with different natures. God ordained the state, the civil government, to deal with earthly matters, and the church to deal with spiritual matters. 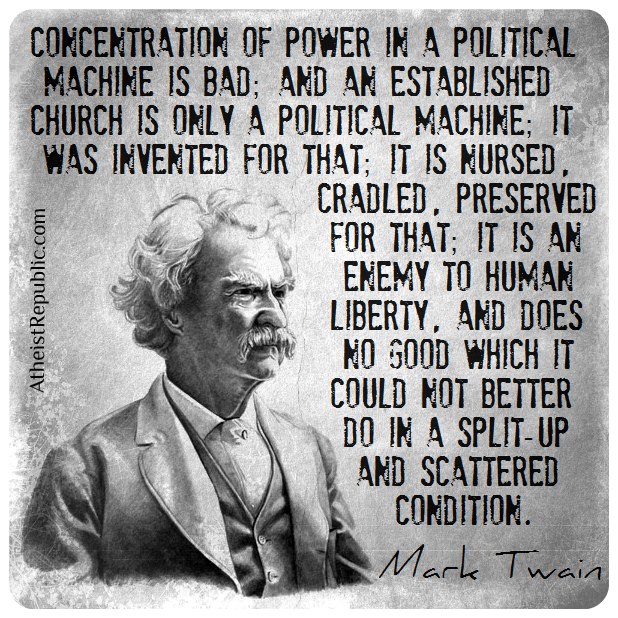 When church and state combine, the earthly combines with the spiritual and trouble lies ahead, as history proves. It is the responsibility of every church, not the state—regardless of all persecutions by the state, by the church-state alliance, and/or by the world in general—to be a light and stand for and proclaim truth. This is so because a church is the only institution made up of people privy to God’s spiritual insights, and is “the pillar and ground of the truth.”[ii] Generally speaking, those who run civil government cannot know spiritual and ultimate truth since most leaders in civil government are unregenerate (or, in rare instances, Christians who are usually spiritual babies). The Covenant Theology of the Puritans, a modified form of Calvinism, which is a modification of Catholic theology, spiritualizes and allegorizes much of the Bible. Calvinism teaches union of church and state and requires the persecution of heretics. The main opponents of Covenant Theology, union of church and state, and persecution of “heretics” in the colonies were the Baptists. The writings and history, for the most part have survived. Unlike the Old World where Protestantism and Catholicism before that successfully destroyed the books, writings, and teachings of “heretics” new forces came together in the colonies which allowed the brilliant history and writings of men such as Roger Williams, Dr. John Clarke, Isaac Backus, and other to be preserved. Sadly, Christian Revisionism, not to mention secular revisionism, has tried to blot out or pervert and hide that history and those writings. the Bible doctrine concerning the relationship of church and state. Click here to go to a more thorough and advanced Introduction. [i] See What is an established church? [ii] 1 Ti. 3.15. Many earthly relationships and behaviors involve the application of spiritual insights. For example, God teaches, in His Word, the responsibilities of husbands to wives, wives to husbands, parents to children, children to parents, civil government to marriages and the men and women joined in marriage, civil government to children, and so forth. Although these are spiritual teachings, they are to be applied in earthly relationships to which there is a spiritual parameter. In other words, God is involved in all relationships and has outlined the ultimate consequences for behaviors, and therefore, everything is spiritual even though it may have an earthly dimension. The trouble comes when man tries to exclude God and His principles, an impossible task. Also, every sphere of ordained government has its own God-given jurisdiction. God desires the state to stay out of family affairs unless criminal acts are involved. He wants civil government to stay out of church affairs, and the church, as an institution to stay out of state affairs. At the same time, he wants Christians to be in authority since only Christians can apply His principles in the realm of government (of course this has almost never happened). Likewise, a church has no God-given jurisdiction over a family. [iii] Some resources which cover history of the union of church and state under Catholic and Protestant legal establishments (established church/states) are: The History of the First Amendment, The Trail of Blood of the Martyrs of Jesus, and Introduction to the biblical doctrine of “Separation of Church and State (Covers persecution from the crucifixion of Christ by Jews, Rome (the Catholic/Roman establishment), to the Reformation, to the American colonies).